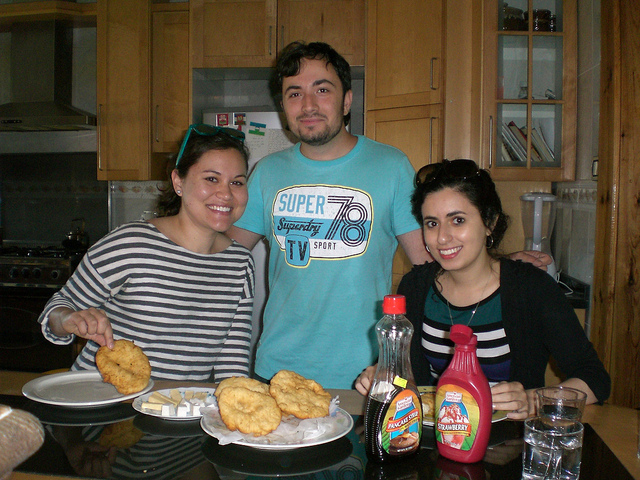 Laura, Hamza and Sarah enjoy a Chechen breakfast. I arrived in Amman completely and shamefully ignorant of Circassian history and culture in the region. I had heard of Chechnya and could point out its general location on a map, but had never heard of Circassia. Since my best Jordanian friend is Circassian and his family is very involved in the Circassian community here in Amman, I thought it fitting to pass on a little of what I’ve learned so far. 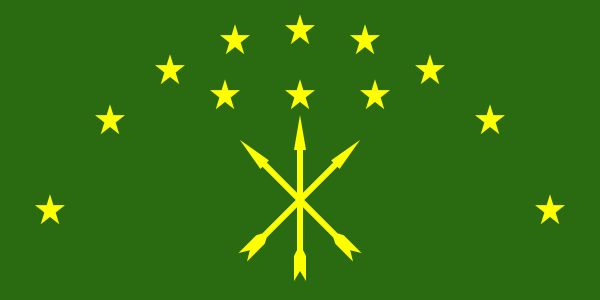 Circassian flag. I’ve seen the three arrow symbol around town as bumper stickers & patches. Circassians are an ethic group from the North Caucasus and are predominately Muslim. After the region was conquered by Russia, persecution and genocide ensued and many Circassians moved down into the Ottoman Empire. Circassians settled in Amman and in surrounding areas in the 1870’s, way before Jordan became an independent state in 1946. 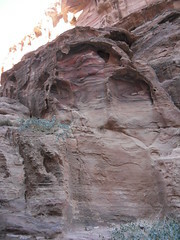 Today, Circassian populations can be found in Wadi Seer, Jerash, Sweileh, Zarqa, and other towns in the north. From what I’ve experienced so far, the Circassians in Jordan have a strong commitment to retaining their cultural heritage, yet are very much Jordanian and are quite involved in all aspects of Jordanian society, including politics. They are reserved 3 seats in the 150-seat lower Parliamentary quota system, and make up the royal guard. I had never heard of Circassians either. Quite interesting.